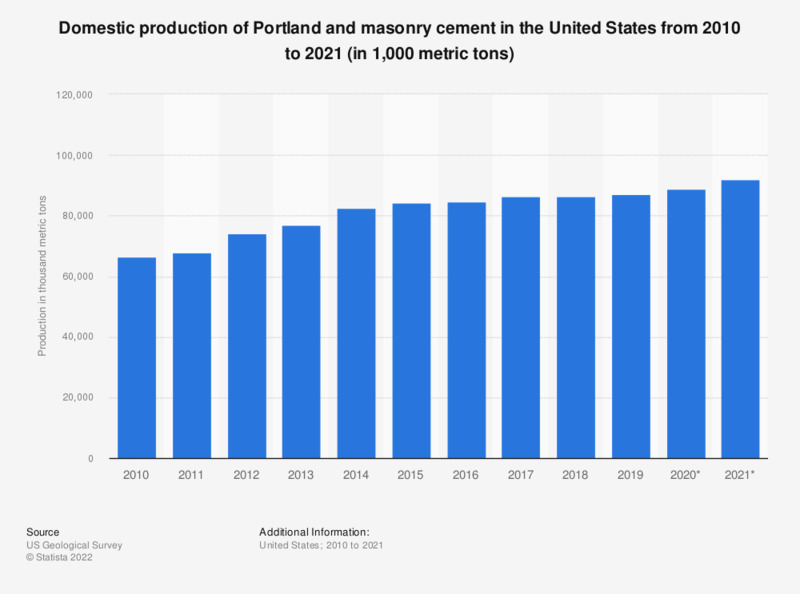 The statistic shows the domestic production of Portland and masonry cement in the United States between 2007 and 2018. In 2018, an estimate of 87.8 million metric tons of Portland and masonry cement were produced here. * Portland plus masonry cement unless otherwise noted; excludes Puerto Rico; includes cement made from imported clinker. ** Figure for 2014 has been restated in the 2019 edition of the report. *** The figures for 2007-2013 are taken from a previous edition of the publication. The figures for 2017 and 2018 are estimates.